"All My Life" is about love and the person who is in love speaking their heart to another person who doesn't feel quite the same way. I'm sure some of you have experienced this in your relationships. I know that I have. Can you imagine your best friend being in love with you, telling you so, and you feeling love but in a different way? You love your friend but are not in love with her or him. Can you then imagine awakening in the middle of the night by a song in your head that you are compelled to record immediately so you don't forget the lyrics or music? You sing it into a micro-cassette recorder. Then, can you imagine finding out that your friend died that night and some of the lyrics were words he/she used all the time? What a miraculous gift to receive. 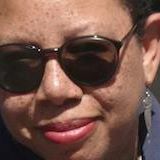 "All My Life" is one of the songs dedicated to this project, and has been recorded in a number of versions as you can see on my profile page at ReverbNation.com. It's been in the Top 10 in the Jazz category a number of times in the NY/NJ/CT/PA area. Every time some anyone plays, shares, samples, arranges, produces, remixes or performs this song, energy is added to the intent to heal child abuse in ALL it's forms and everyone who is touched or affected by it. The Reach 4 Freedom: Heal Child Abuse Music Project is a component of The Healing Artist Studio Project. Simply read the description at the top of this blog to discover the intent of this project. 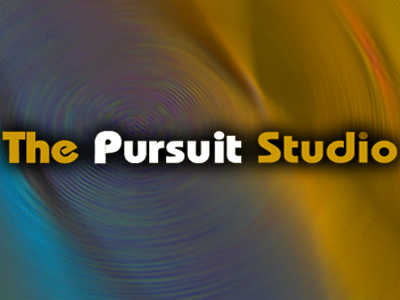 The Pursuit Studio logo is used for all my songwriting and music-related projects though it's not an official company at this time.